Learn incredibly practical and effective Leung Ting WingTsun® Kung Fu at this special training seminar. 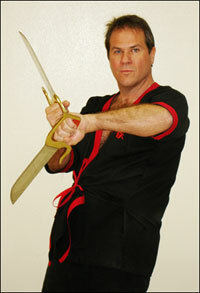 Sifu Parker is a private student of Great Grandmaster Leung Ting. He is the head instructor at the San Antonio WingTsun Academy, one of the longest running professional WingTsun schools in Texas. In December 2005, Sifu Parker became one of the first American Masters of WingTsun when he was promoted to 5th Level Practician (Master) in Hong Kong. Sifu Parker looks forward to passing on to you the essence of this simple yet devastatingly effective martial art. Saturday’s sessions are open to all levels, including total beginners. Sunday is open to those working on double arm chi sau or above. Advance registration for Saturday due no later than June 11th to your local instructor. The cost for Sunday will depend on the number of attendees who participate and is cash only at the door. You can ask your local instructor for an estimated cost based on the anticipated attendance, but the final cost will be determined by who participates on Sunday. For hotels in the area, we recommend visiting Hotels.com or Orbitz.com.